Press Sample. All opinions are my own. When I was a kid, there was a familiar playground rhyme, "Boys don't make passes at girls who wear glasses!" Well, I didn't believe it then, and I don't believe it now! Geek-chic is here to stay. 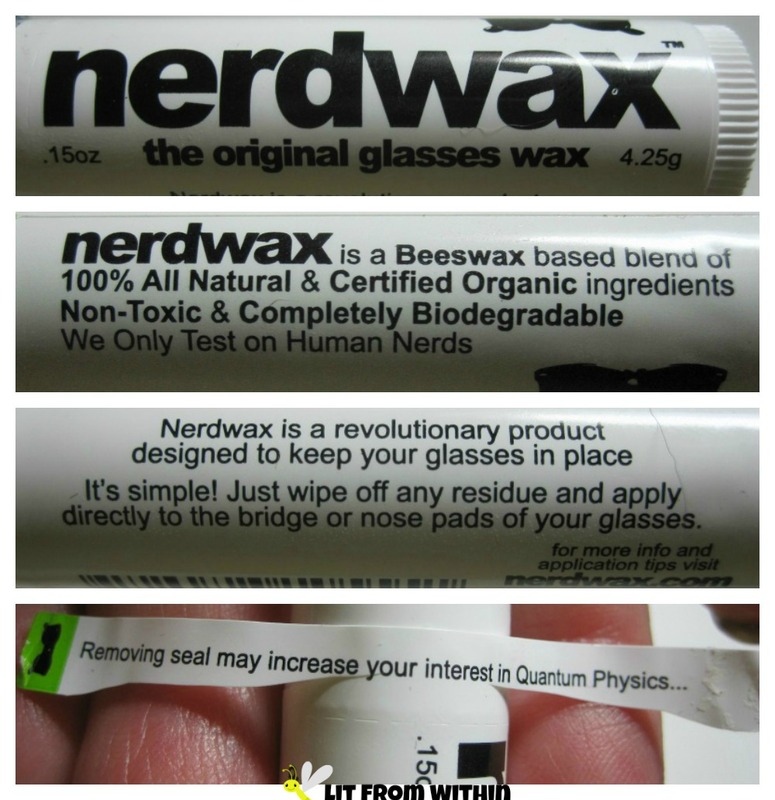 And one accessory I just discovered - Nerdwax - can help my glasses stay, too - on my face! 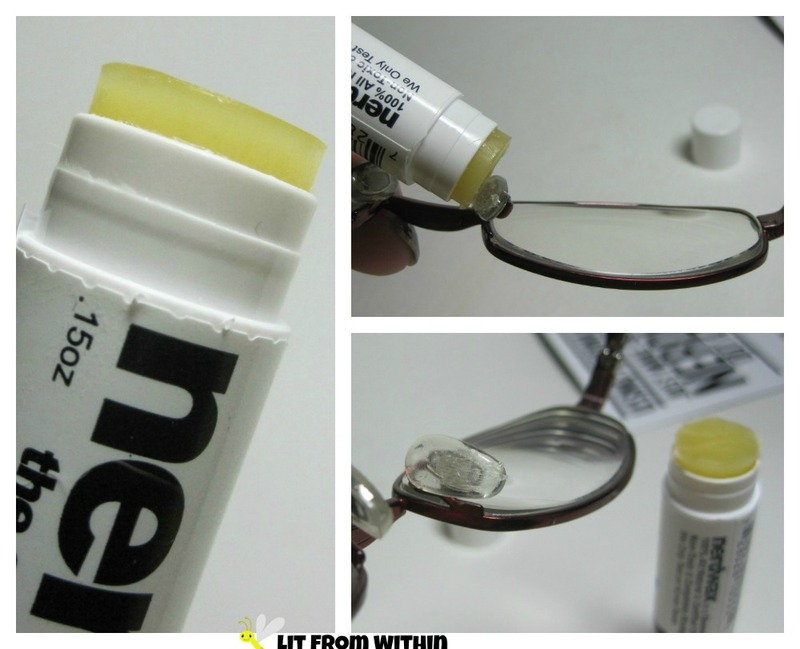 Assuming that your glasses are properly fitted for your face, but you still have problems keeping your glasses from sliding off due to oily skin, or sweat, Nerdwax can help. It's formulated to be just tacky enough to stick, but not too sticky as to mess up your glasses. I mostly sit in the A/C, so I just apply a thin layer. It lasts a couple of hours on my oily skin. If I were in sweatier conditions, or moving around more, I could definitely apply a thicker layer, or build layers up throughout the day. It's easy to apply, and removes with a paper towel. I didn't experience any breakouts or allergic reactions using Nerdwax. I didn't even really find that it left a residue behind. It's a great short-term solution for keeping my glasses where they're supposed to be. Nerdwax Nails! White base, with glasses stamped with Finger Paints Black Expressionism and Winstonia W106 plate. I did my best to recreate the logo! I married a comic book-loving, Fantasy-book-reading, videogame-playing Nerd, and we just celebrated our 20th wedding anniversary. Now we're ready for more adventures, glasses and all. For more information, or to purchase, you can find Nerdwax on their website, Facebook, Twitter, Instagram, YouTube, and on Amazon, where it currently retails for $12.99.